Spice up your interior with a colorful and artistic rug. 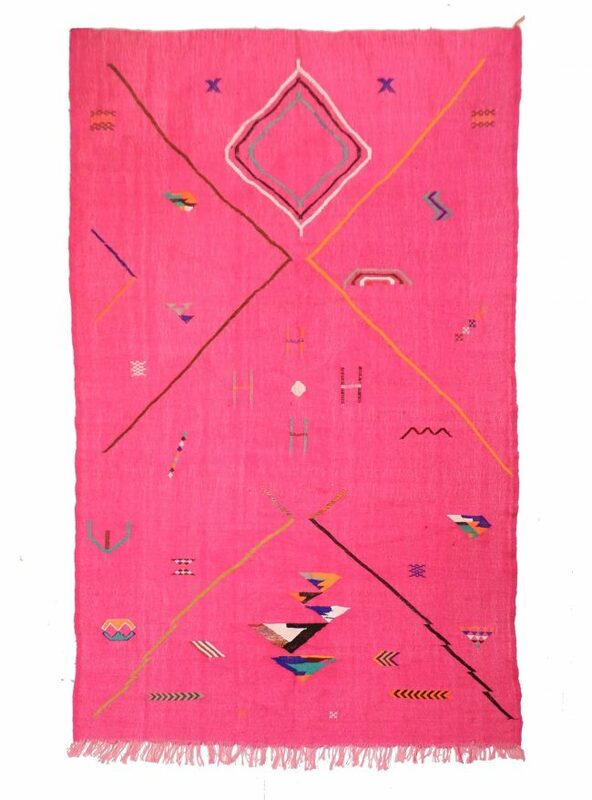 This pink rug is handwoven in wool by Berber women in Morocco and the motives are symbols from the Berber universe. The Berber women are skilled weavers and many of them have an artistic flair for composing beautiful rugs – almost like paintings.